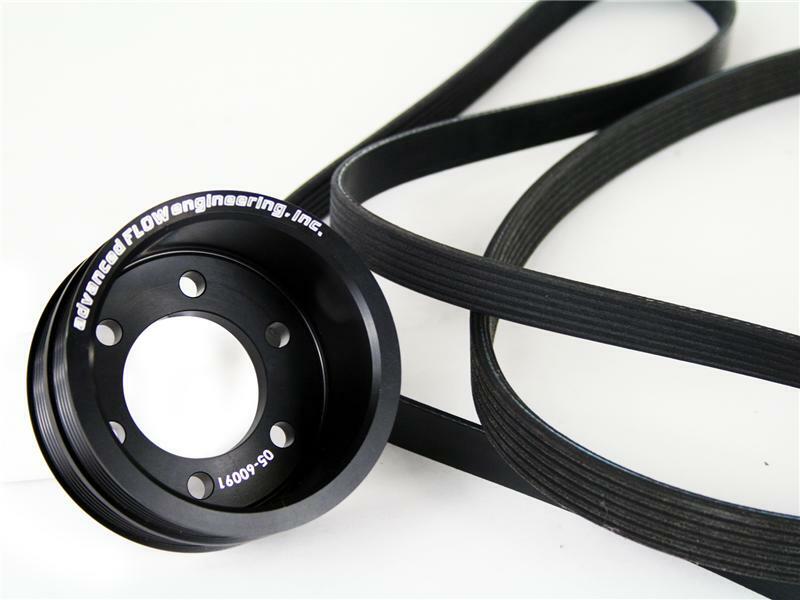 aFe Power’s new power pulley brings performance engineering to your BMW. This 4.124” diameter power pulley is a complete bolt-on kit, including the pulley, bolts, and belts. aFe’s power pulleys are CNC machined out of billet aluminum and black anodized for that aggressive look under your BMW’s hood. This power pulley does not modify factory harmonics or dampening. When it comes to engineering for power, performance, protection and value, aFe Power is the only choice.